Create your RX05 Pixel Green Snake and bring the light wherever you want. Welcome to the United Kingdom Creative-Cables! 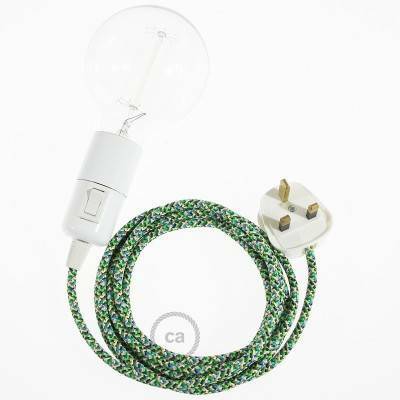 Hanging Lamp RX05 Pixel Green Snake: choose the plug's colour, the socket's colour and the cable's length. 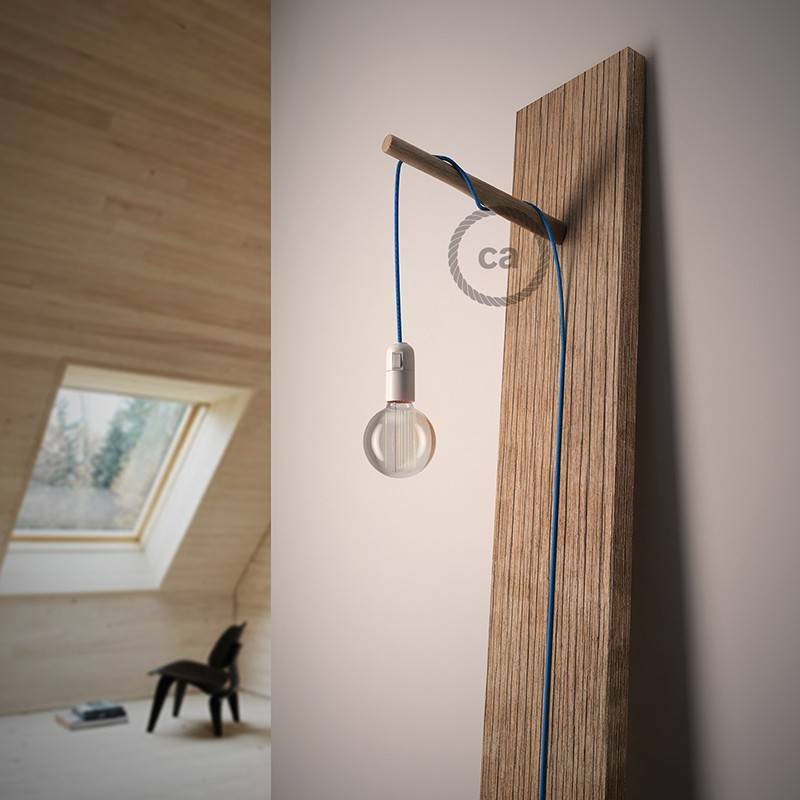 Creative-Cables' Snake is ideal to bring the light wherever you want. 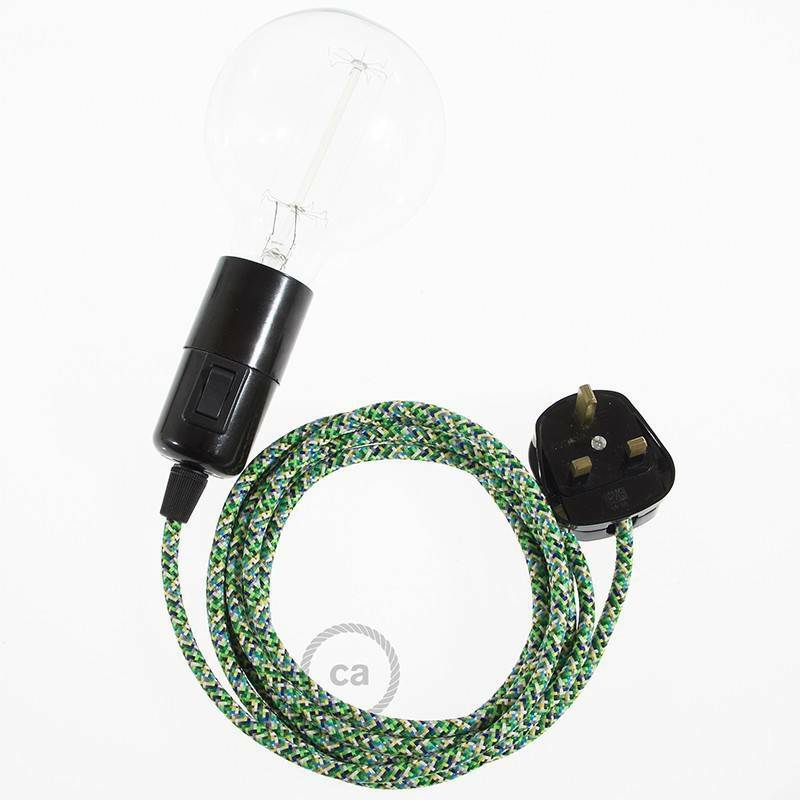 The thermoplastic's socket with switch allows you to easily control the light bulb turning on and off. Warning! 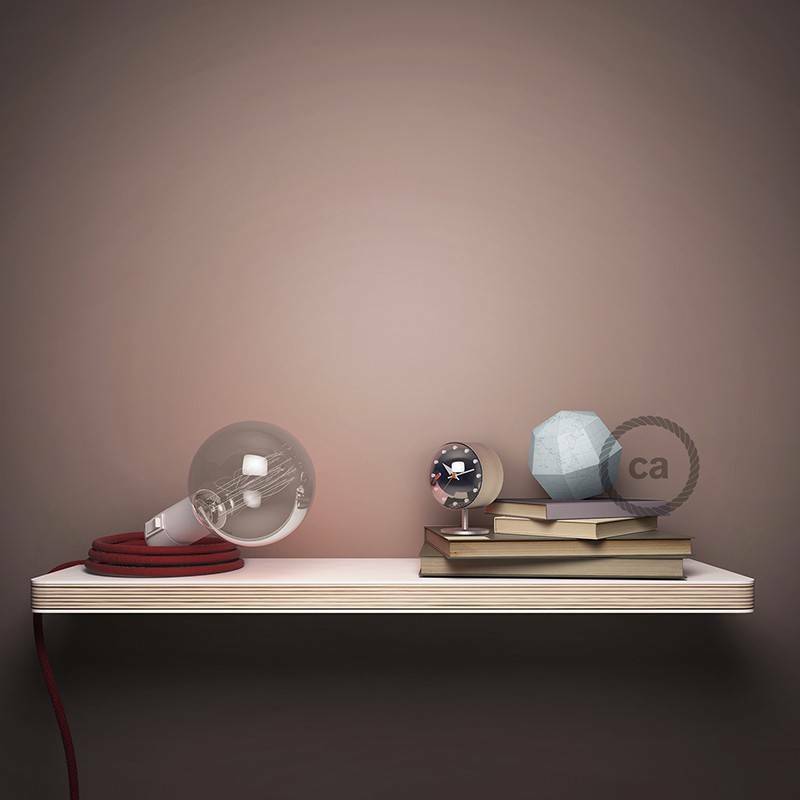 Light bulb is NOT included, you can find a wide choice of light bulbs in dedicated section. 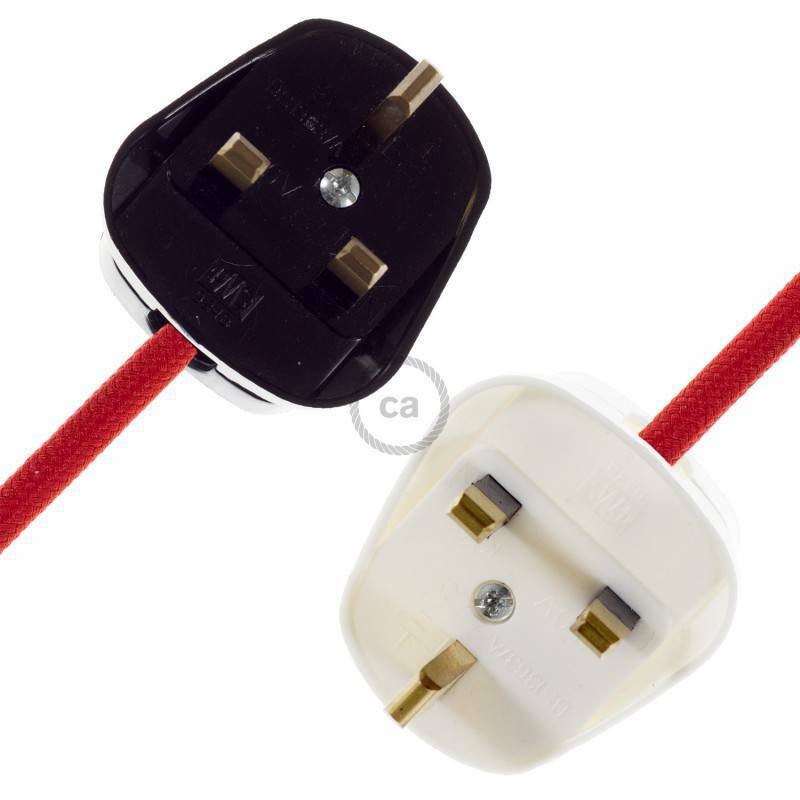 3 or 5 metres of 2x0,75 cable, HAR certificate. Made in Italy. E27 thermoplastic socket Max 60W with switch, IMQ certificate. Made in Italy. 2 poles 10A Plug IMQ certficate. Made in Italy. We ship all our orders using either Royal Mail or DPD services. Orders are usually dispatched within 24/48 hours, if the items are out of stock the dispatch time will be around 5-7 working days. See more details here. Create your RC43 Dove Cotton Snake and bring the light wherever you want. Create your RC13 Brown Cotton Snake and bring the light wherever you want. 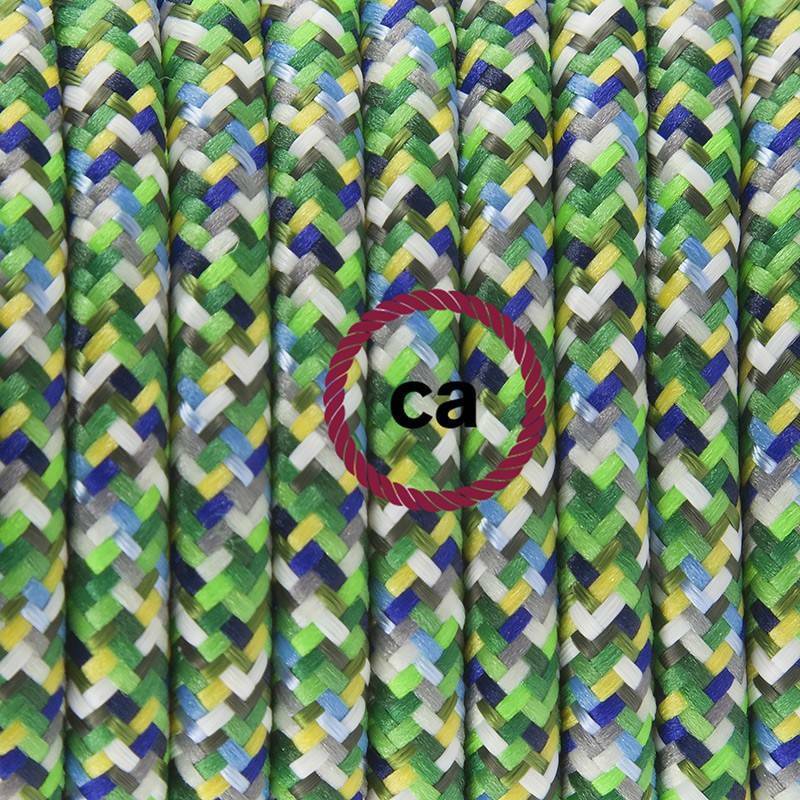 Create your RN06 Jute Snake and bring the light wherever you want. Create your RM05 Gold Rayon Snake and bring the light wherever you want. Create your RC23 Deer Cotton Snake and bring the light wherever you want. Create your RM22 Whiskey Rayon Snake and bring the light wherever you want. Create your RX07 Indian Summer Cotton Snake and bring the light wherever you want. Create your RN01 Neutral Natural Linen Snake and bring the light wherever you want. Create your RN02 Grey Natural Linen Snake and bring the light wherever you want. Create your RN03 Anthracite Natural Linen Snake and bring the light wherever you want. Create your RN04 Brown Natural Linen Snake and bring the light wherever you want. Create your RD73 ZigZag Bark Snake and bring the light wherever you want. Create your RD63 Lozenge Bark Snake and bring the light wherever you want. Create your RD53 Stripes Bark Snake and bring the light wherever you want. Create your RD71 ZigZag Ancient Pink Snake and bring the light wherever you want. Create your RD61 Lozenge Ancient Pink Snake and bring the light wherever you want. Create your RD51 Stripes Ancient Pink Snake and bring the light wherever you want. 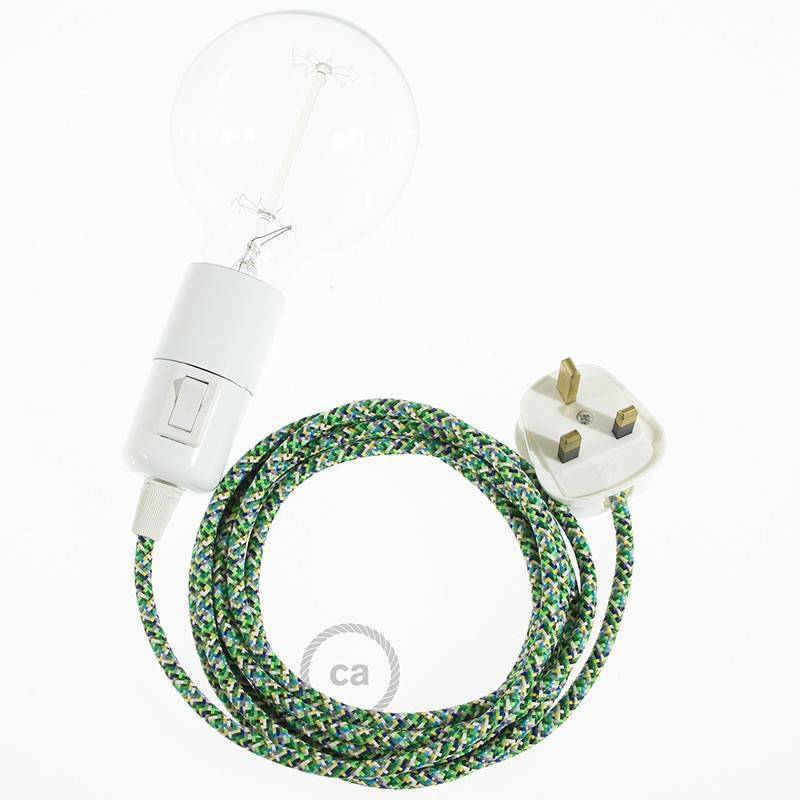 Create your RD72 ZigZag Green Thyme Snake and bring the light wherever you want. Create your RD62 Lozenge Green Thyme Snake and bring the light wherever you want. Create your RD75 ZigZag Steward Blue Snake and bring the light wherever you want. Create your RD65 Lozenge Steward Blue Snake and bring the light wherever you want. Create your RD55 Stripes Steward Blue Snake and bring the light wherever you want. Create your RD74 ZigZag Anthracite Snake and bring the light wherever you want. 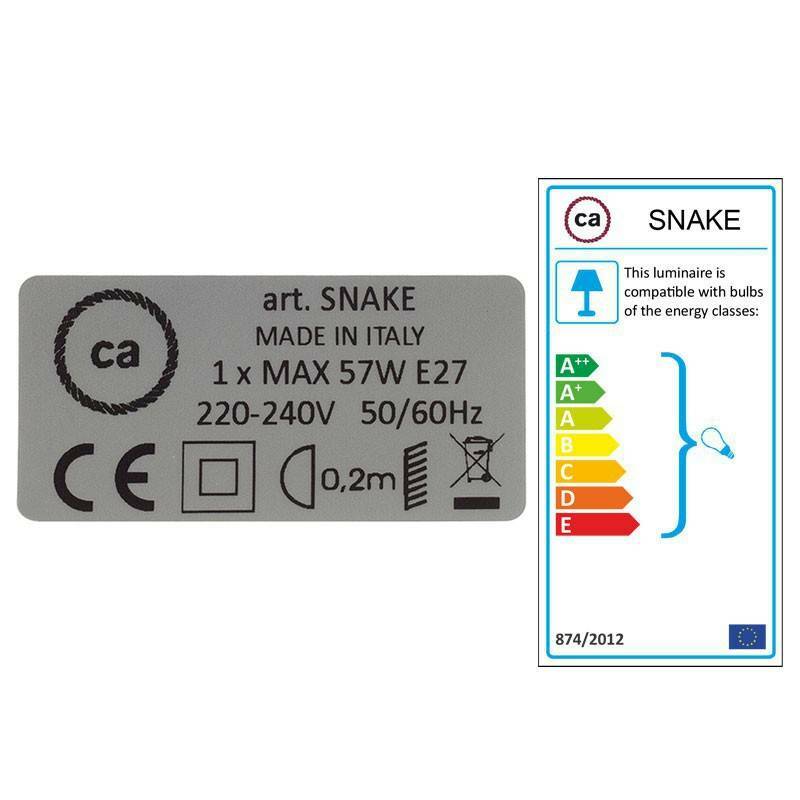 Create your RD64 Lozenge Anthracite Snake and bring the light wherever you want. Create your RD54 Stripes Anthracite Snake and bring the light wherever you want. Create your RS81 Black Glittering Natural Linen Snake and bring the light wherever you want. Create your RS82 Brown Glittering Natural Linen Snake and bring the light wherever you want. Create your RS83 Red Glittering Natural Linen Snake and bring the light wherever you want. Create your RT41 Stars 3D Snake and bring the light wherever you want. Create your RT14 Stracciatella 3D Snake and bring the light wherever you want.